There are many different scenes in Portland, such as music, filmmaking, craftmaking, cosplay, beer, food — the list goes on. Some of those are much more in the public eye than others, but as the scope gets narrower, the more niche the community, less so. For instance, outside of those interested in dance performance, who can really speak to Portland's contemporary dance scene or any of its rich history? One filmmaker and dance instructor at Lewis & Clark College wants to bring it to the eye of Portland audiences through his documentary, "Moving History: Portland Contemporary Dance Past and Present." It will premiere at Northwest Film Center's Whitsell Auditorium at 7 p.m. Thursday, April 6, as part of the Northwest Tracking series, an ongoing series that highlights filmmakers who work and live in the Pacific Northwest. Eric Nordstrom — no relation to the famous Nordstrom family (though it helps him get dinner reservations, he jokes) — lives in Southeast Portland and grew up in Vancouver, Washington. He has danced for a number of organizations and instructors throughout the years, including Oslund & Co., Keith V. Goodman, Linda Johnson, POV Dance and others. "Having danced in Portland for a decade, I feel like, before this project, my knowledge of the history of dance in Portland was limited," Nordstrom says. He worked on the film for two years, beginning when he received a grant from the Regional Arts & Culture Council in 2015. He thinks it's important to connect with the past, and the city's contemporary dance scene has six decades worth of connection that many new Portlanders moving to the city aren't aware of. "I think oftentimes dance companies are so busy just trying to mount the next production, which is usually a pretty massive task, that there's little time to preserve," Nordstrom says. He says he started to notice that more people were moving to Portland with an interest in dance but were unfamiliar with the history, yet were still becoming a part of the scene through their own practices. The scene is at a turning point with the influx of people and upswing in development, he says. Longtime companies like Oslund & Co. and spaces for dance like Conduit have disbanded or closed, and the younger generation is facing lack of studio space and funding. 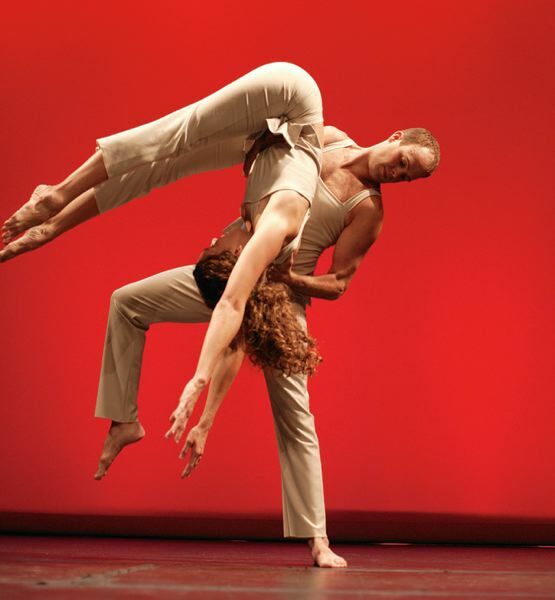 The likes of BodyVox and Northwest Dance Project have persevered. Northwest Film Center programmer Ben Popp learned a lot from the documentary, and enjoyed how it depicted the ebb and flow that a certain scene or community endures. "What I learned ... is how (contemporary dance) started out as a small community-based thing, as most arts things do, and then it kind of grows but then falls apart," he says. "But the people that come up from those programs, they're the flowers, the ones who are going to remain and continue to make amazing work." Embarking on the filmmaking journey was a learning experience for Nordstrom, one that he hopes will help give the scene some perspective and context to future trajectory. He realized how early dance programs at Portland State University and Reed College really had an impact on professional companies, "and how professional companies can really influence education." PSU recently abandoned plans to reinstitute a dance major and cut its only full-time dance faculty position. However, Reed for the first time has a dance major, which started last fall. In the documentary, Nordstrom interviews dancers from all ages and backgrounds, including Vaunda Carter, who founded the PSU dance program in the early 1960s. She'll be joining Nordstrom in a post-premiere Q&A on Thursday, along with other dancers and choreographers. "There are people in the film who are in their mid-80s — who knows how long their stories will be around in person?" he says. Though the documentary is an hour and 10 minutes long, Nordstrom ended up with about 150 hours of footage, including interviews and dance performances. Using this material, he's embarked on creating the "Portland Dance Archives" through the Portland State University library's website. It's still being fine-tuned, but something Nordstrom is excited for people to have access to. "I hope this creates a clear path about what Portland has been through in dance, so that people coming in ... or just having an interest in dance in the city are able to see that and see that there's been some really hard times, and some really great times," Nordstrom says. The documentary screens at 7 p.m. Thursday, April 6, at Whitsell Auditorium, 1219 S.W. Park Ave. Tickets are $6-$9. For more: www.nwfilm.org.